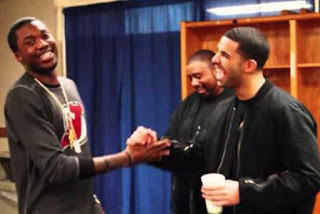 24/7 Hip Hop News reported that Champagne Papi, despite having his differences with Meek Mill, has called for his freedom, according to a video posted by Drake fan page Word On Road. In the clip, which is said to be from his show in Melbourne Saturday, Drake can be heard commenting on the clothing of his fans, a tradition he's kept up since at least 2013. Eventually, he sees a fan wearing a Free Meek Mill shirt, presumably the OVO-designed shirt that was made during Meek's incarceration in 2014. "I see you got the Free Meek Mill shirt," he said. "Free Meek Mill too, for real. You right."